You can call them tea cup pigs, mini pigs, micro pigs, or micro mini pigs but in the end they’re all the same thing; a marketing ploy developed by breeders to encourage the sale of potbellied pigs that are almost always abandoned when they get too big to be “cute” in a house. 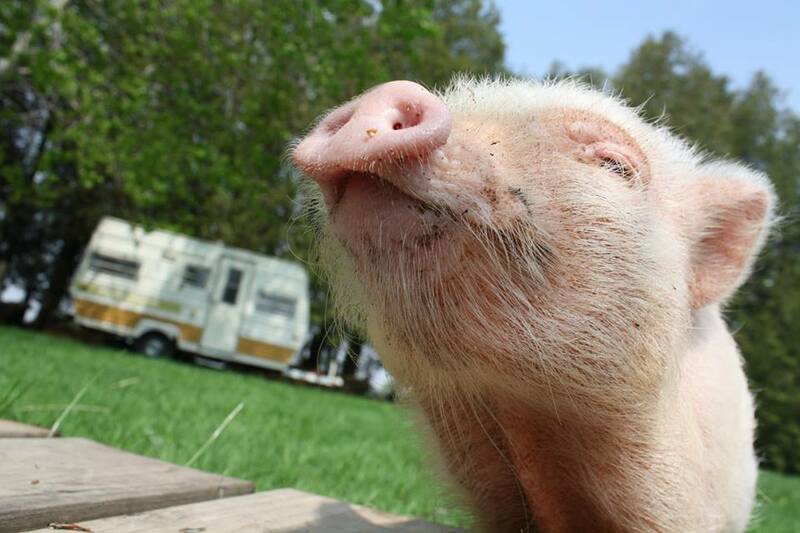 Over the past couple of weeks, a self-proclaimed animal lover and “tea cup pig” aficionado tried to convince London City Council to allow these pigs in residential neighbourhoods to be kept as pets, especially given their alleged small stature. However, nothing could be further from the truth. We end up caring for miniature pigs that grow too big, after their owners abandon them or give them away. People are fooled into buying these little pigs from $300 to $2,500, thinking they’ll stay small. The real issue is that most breeders mate their pigs at only three months old, giving the illusion of fully-grown miniature pigs. Essentially its baby pigs forced to make more babies. Despite the fact that potbellied pigs remain smaller than standard farm pigs, they still grow to between 100 to 250 pounds, far heavier than other residential pets like dogs and cats. Cedar Row was interviewed by a few media outlets regarding this story and we didn’t hold back on why lifting this ban was a bad idea. 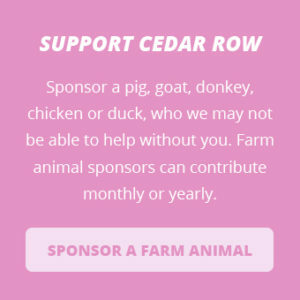 Most sanctuaries in Ontario (including Cedar Row) are full and a number of them won’t take in potbellied pigs as they don’t consider them farm animals. Lifting the ban would create even more of a headache because there simply isn’t enough room to care for abandoned pigs and the request to rehome them would be astronomical. Pig lover pulls wool over eyes of politicians? 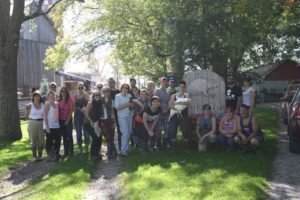 Currently, the Community and Protective Services Committee (CAPS) of London City Council has decided against lifting the ban; this is good news for sanctuaries and even better news for pigs. your pigs are SO cute! I was wondering if people are allowed to drop in on any Saturday/Sunday as long as its scheduled or if we can only volunteer if its one of the days on the calendar? by the way what your doing is Great!! Our sanctuary is not open to the public however you can sign up for work visits via our website or you can come to our open house on July 9th. Thanks so much.